Why does so much content miss the mark? Organizations don’t have the proper conversion funnel analysis tools and metrics to determine the topics that engage and drive their audience toward a buying decision. That’s where Ceralytics comes in. 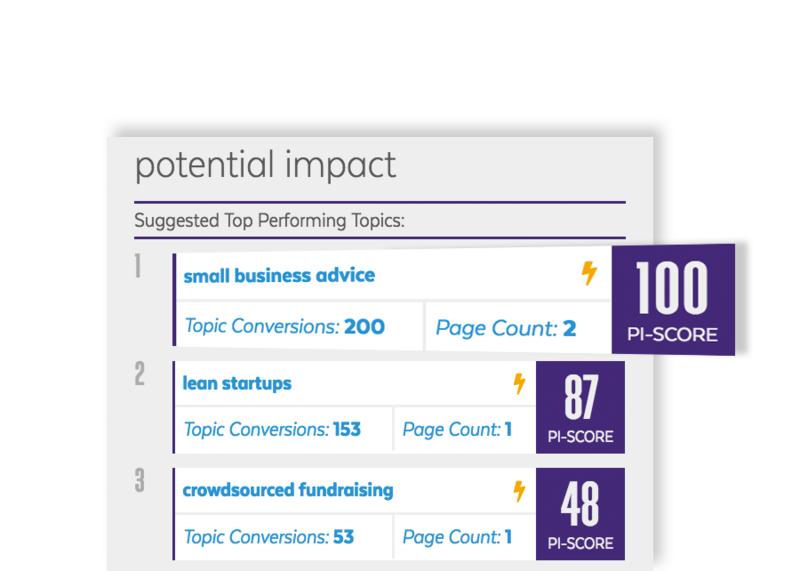 Uncover the topics that convert using a data-driven approach. 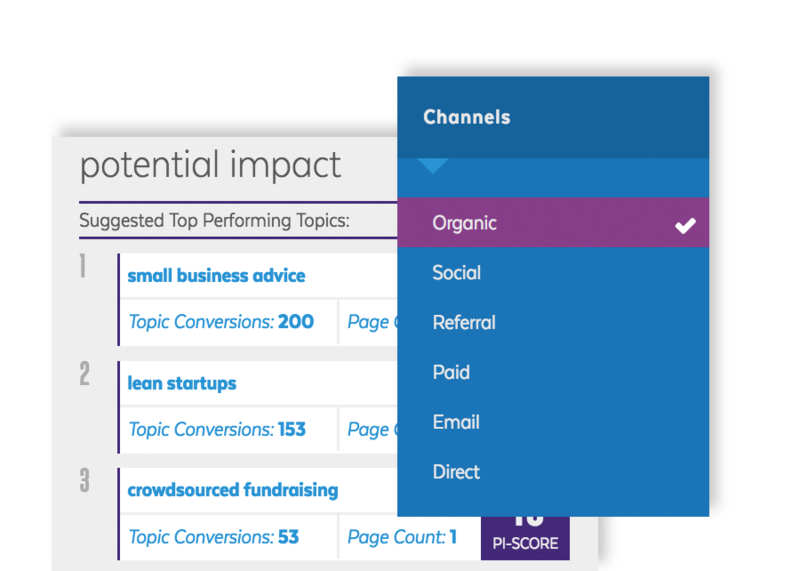 Ceralytics shows your content’s influence over key metrics such as leads, sales, revenue, and more. 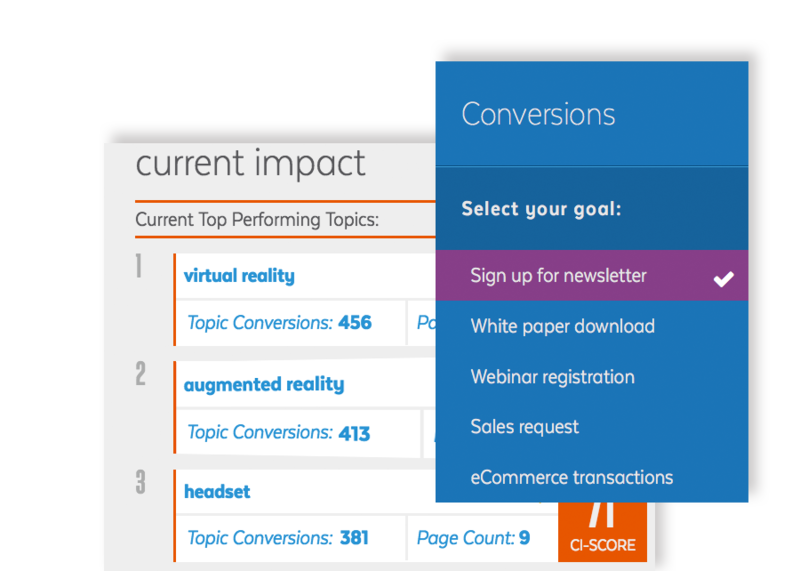 Track each goal separately so you can see your content’s true impact and drive higher conversion rates. 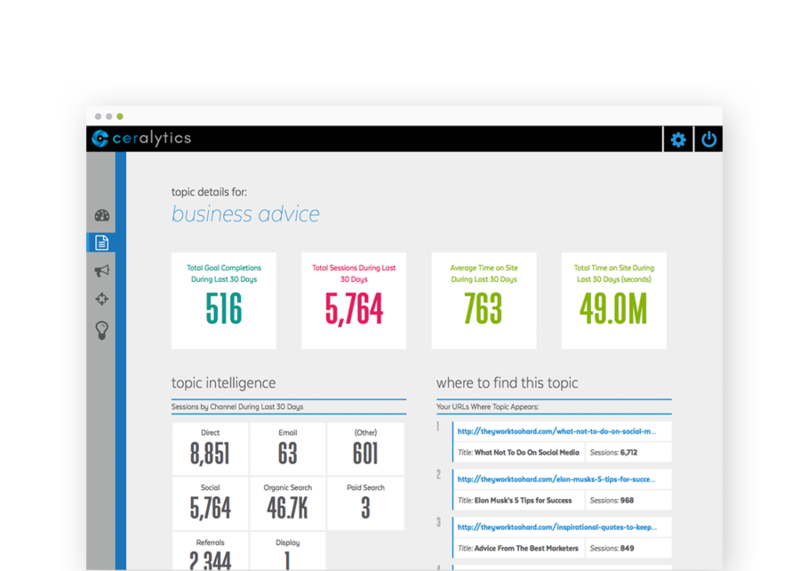 Ceralytics analyzes all of your content and identifies the topics that are currently driving the most conversions on your site. With this information, you can create stronger calls to action that speak directly to your audience’s needs. Content marketers can’t hammer a single topic and expect success. That’s why Ceralytics uses predictive analytics to identify under-utilized topics that will convert at a higher rate than other content. The result: increased goal conversions and content marketing effectiveness. A home run on one channel may strike out on another. Ceralytics provides insights into which topics drive conversions on social media, organic search and other inbound marketing channels, enabling you to optimize existing and future campaigns. Understand the topics that convert for new vs. returning visitors to create a content strategy that builds relationships over time and also gives quick wins to audiences who are ready to take an action immediately. You work hard. 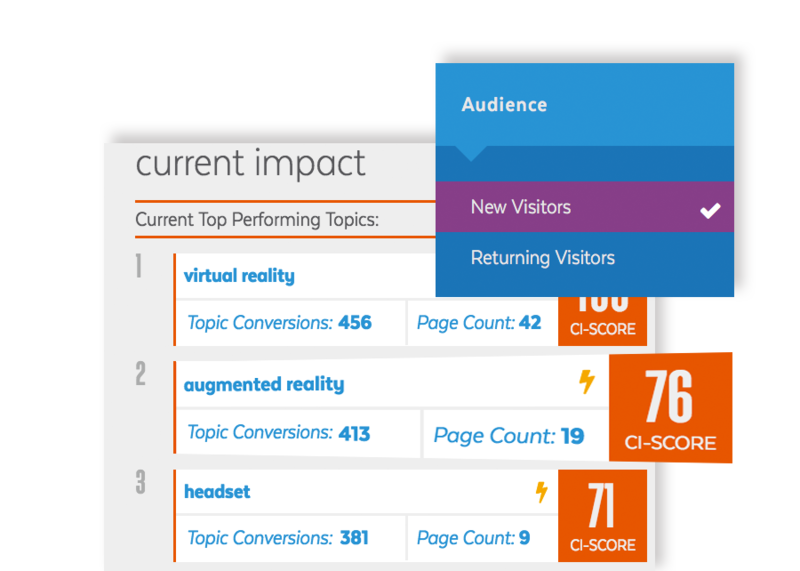 Ceralytics helps you optimize your content to ensure your content works hard too. Understand what topics push your audience through each stage of your conversion funnel and drive bottom-line results for your business.